Book your Luxurious Experience at Anantara Uluwatu Bali Resort! Anantara Uluwatu Bali Resort is perfectly situated in the secluded part of the Island of the God's Southern Coast. The ingenious design of cascading down the rugged cliff-side suits and pools bring only one conclusion to mind. This is the place where relaxation meets bliss, pool-side pampering has no end and the place where your Balinese holiday should start. 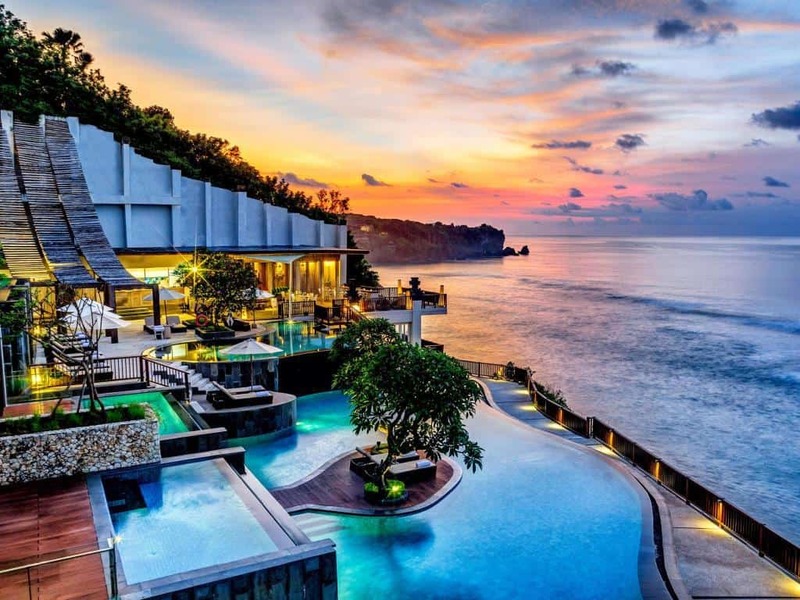 The four-storey resort comprises of 74 ocean view hotel suites and private pool villas and it sits majestically atop a cliff overlooking Bali’s famed ‘Impossible Beach' surfing point. 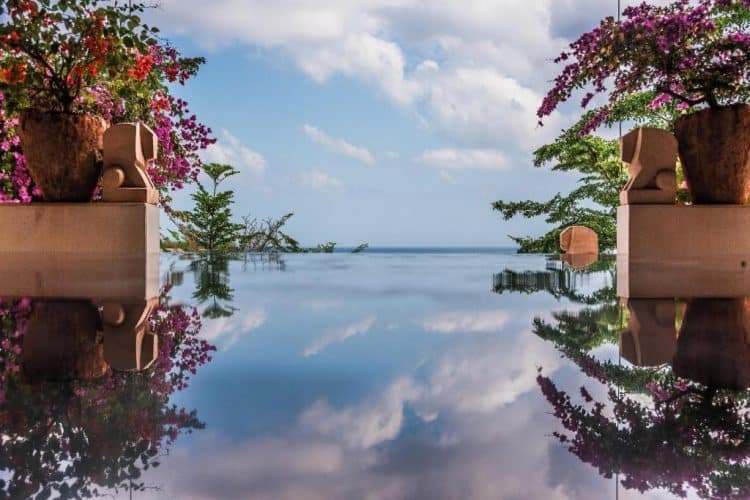 Opened in 2012, the Anantara Uluwatu Bali Resort is constructed with a hanging garden look and features grass-planted rooftops and tiered steps that link the oceanfront swimming pool with the expansive villas and suites. The interiors are built with swaths of elegant Balinese and travertine hardwoods. The pool villas and ocean view suites descend downwards to the gently-swirling waves of the Indian Ocean. 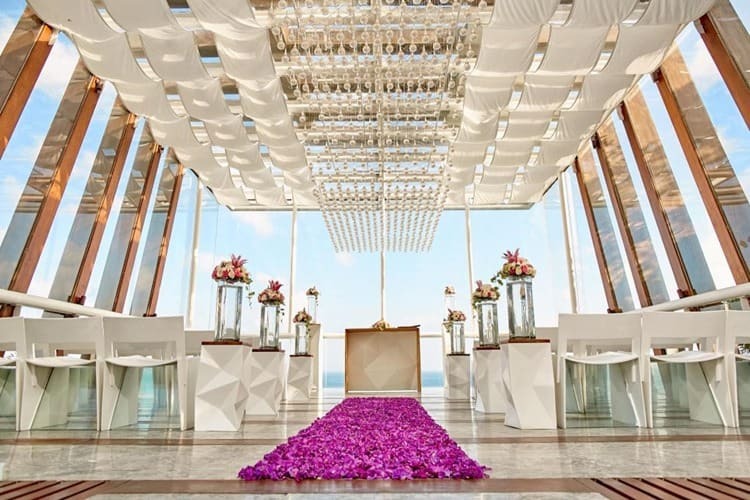 The resort also has a beautiful wedding venue known as the DewaDewi Wedding Chapel, a distinctive glass structure that projects outwards-commanding a panoramic view of the ocean. It is a great hotel for families! 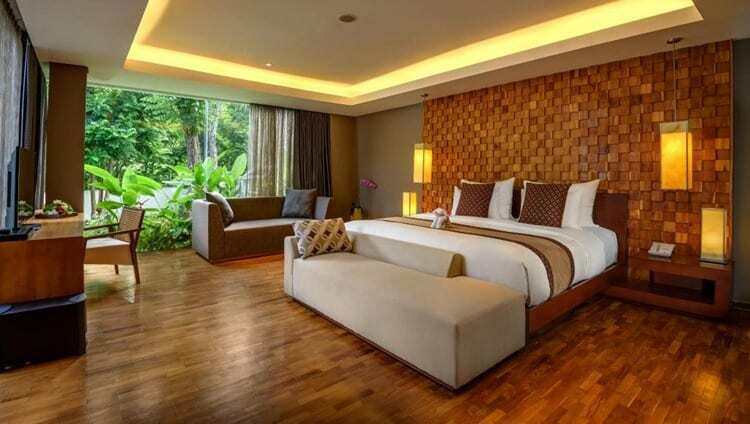 After more ideas of which Bali family hotel to choose? 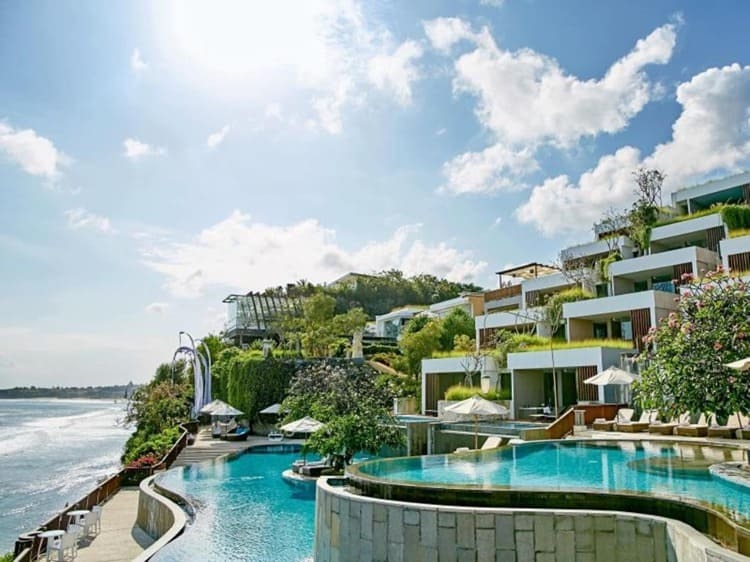 Tucked away on Bali’s southern coast, Anantara Uluwatu Bali Resort is a five-star sanctuary well away from the hustle and bustle of famous Indonesian towns such as Seminyak and Kuta. 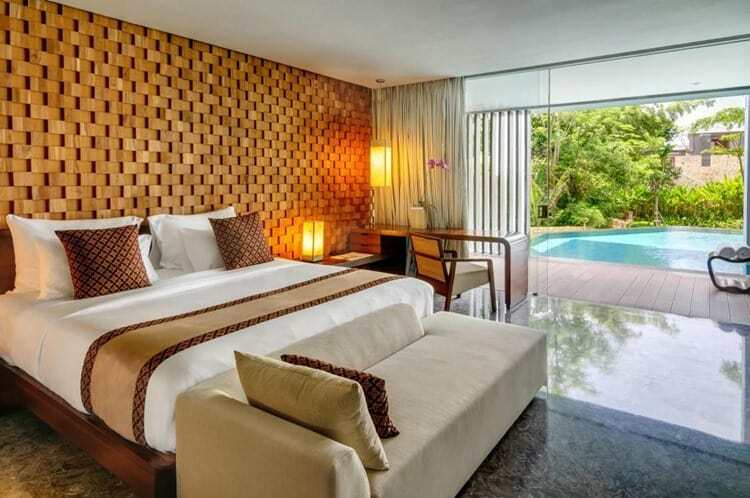 Even though the family-friendly resort is in a secluded area, it is just 35 minutes from Ngurah Rai International Airport in Denpasar,Bali. The Anantara Uluwatu Bali Resort has seventy four ocean view suites and pool villas .The majority of the ocean view suites cover an amazing 904 square feet and over .They have a polished and trendy design that also features floor-to-ceiling windows, hand-cut marble, carved Indonesian hardwoods and granite floors, colorful artwork and traditional batik accessories. Whereas the ocean view suites are perfect if you are on a honeymoon, the villas are great for friends and families and come with a sun deck, private pool, fountains and beautiful botanicals. You will be awed by their natural lighting and fabulous ocean views. The spacious rooms are also equipped with a private terrace plunge pool that also offers a spectacular view of the seemingly endless ocean. 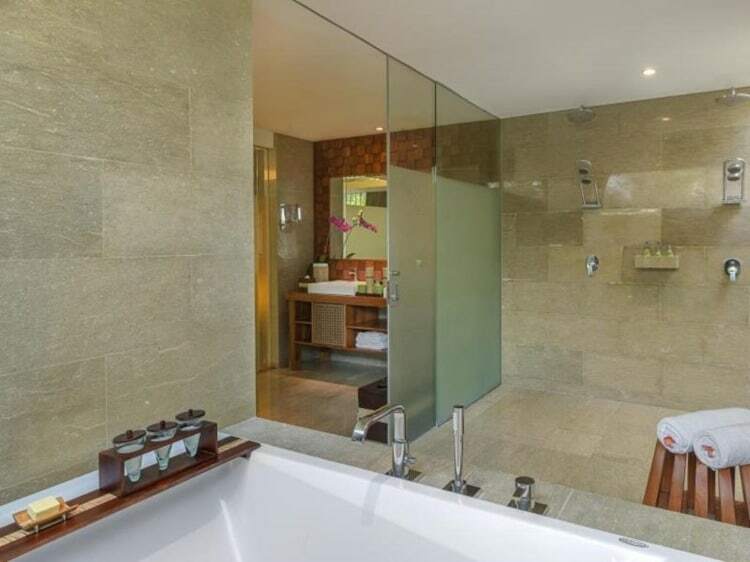 You will adore the hotel’s swanky and spacious bathrooms that are fitted with rain showers and hot tubs and are stocked with exclusive and luxurious bath products such as serums and anti-aging creams. To assist you to stay in touch and entertained, every room has free Wi-Fi access and the air-conditioned living areas have a flat screen TV showing satellite and premium channels, a DVD player, and an iPod dock. Other amenities include a minibar, personal safe and coffee-making appliances. The resort has an efficient 24-hour front desk to help you with airport shuttle, transport and luggage storage services. 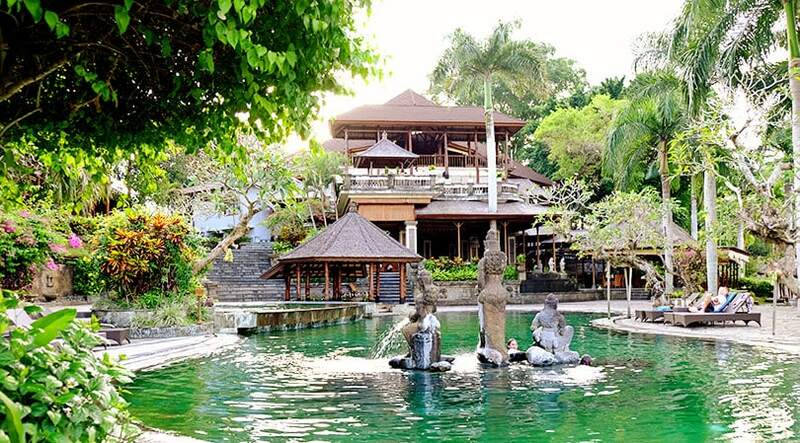 As a guest you can also engage in fun activities like batik making, Balinese dance lessons and ceramic making. The hotel also offers free self-parking and valet parking. Tease your taste buds and submerse yourself in a one-of-a-kind culinary experience in the hotel’s three restaurants. Enjoy a variety of delectable Balinese, Indonesian and Western dishes in the 360 Rooftop Restaurant with its scenic ocean view. 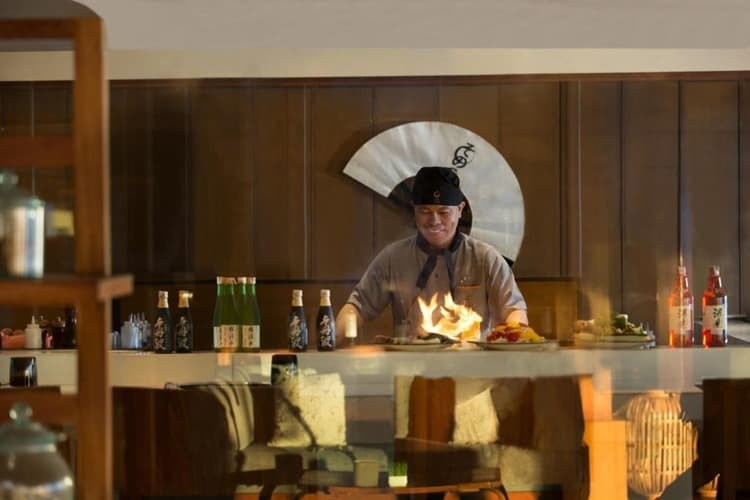 If you are partial to Japanese cuisine, the SONO Teppanyaki Restaurant is your kind of place. It opens daily for dinner from 6.30 to 10.30 pm and offers modern Japanese fare, including a live cooking demonstration. Lovers of barbeques will feel right at home eating at the cliff-side Sea Fire Salt Restaurant that operates from 12 noon to 10.30 pm. 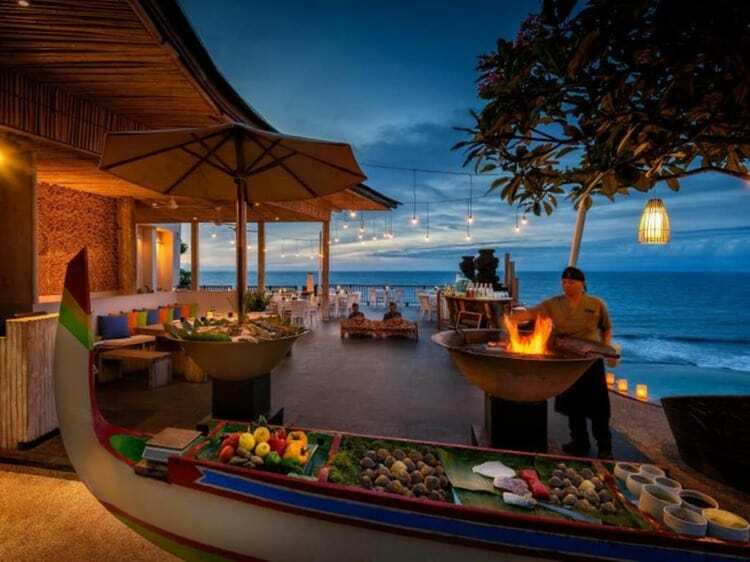 It has special seafood and meat barbeque evenings during the week. You will also enjoy drinking special sunset cocktails from 6 pm to 7 pm where you will watch the magical sunset while listening to traditional Balinese music. The hotel also provides a round-the-clock in-room dining service. Other interesting dining experiences include the Dining by Design program where romantic couples select their own menu and a private dining area within the resort. You can also participate in the Spice Spoons interactive cooking class where you get to enrich your culinary skills by learning how to prepare Indonesian dishes. 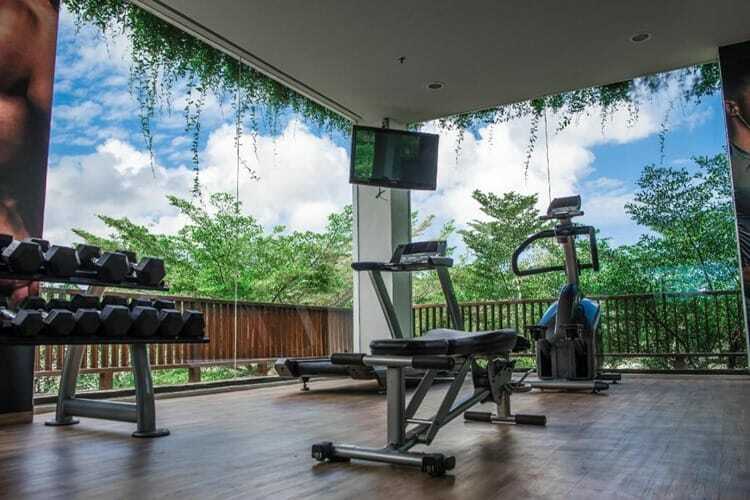 Your health and wellbeing will be properly taken care of at the 24-hour hotel gym. You can also pamper yourself at the Anantara Spa where you will be offered treatments to rejuvenate your body and refresh your mind. 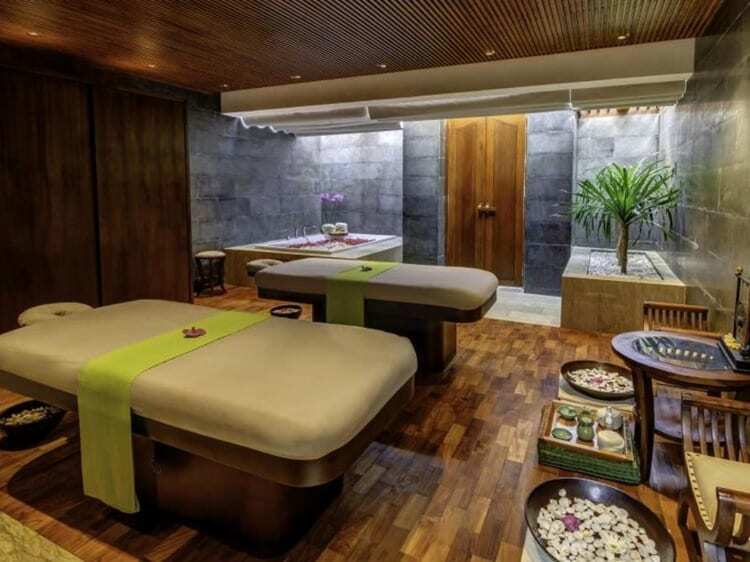 It has four treatment rooms for single guests and one treatment room for couples. You can also attend yoga classes twice every week. If you are the adventurous type, the area around Anantara Uluwatu Bali Resort boasts of some of the best surfing points in Bali like the Padang Padang, Uluwatua and Dreamland beaches as well as the rocky Impossible Beach close to the resort. There is an elevator that takes you to the Impossible Beach and you can also lounge and sun bathe at the hotel’s Surfari Sundeck. While Bali is famous for its wonderful hotels, staying at the Anantara Uluwatu Bali Resort is a unique and unforgettable experience. You will love the 180-degree panoramic ocean views, great customer service, scrumptious cuisine and spacious and luxurious rooms. One of Luxury Escapes’ bestselling Bali offer is back, with exclusive packages perfect for couples and small families. Packages include 4 nights in an Ocean View Suite at Anantara Uluwatu Bali Resort and enjoy daily buffet breakfasts, two multi course dinners, six 60 min spa signature Balinese massage, three-hour Balinese cooking class, daily sunset cocktail, return airport transfers and more. Upgrades and extended stay options are available as well. You can buy now and book later (packages are valid for stays until 20 December 2018), though be quick, this deal ends 28th November 2017. 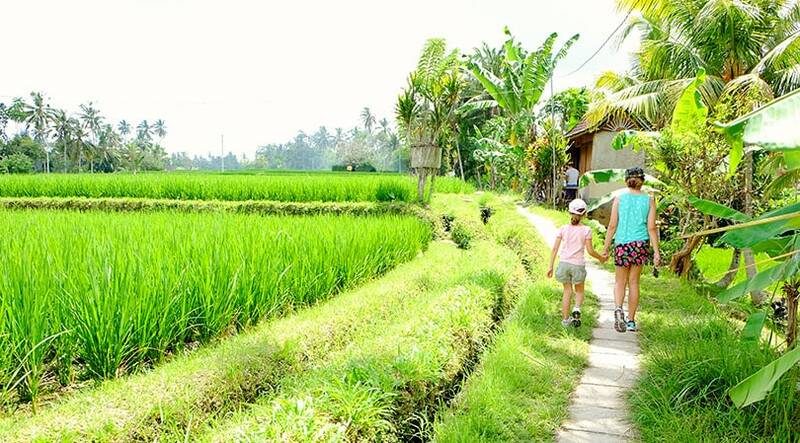 The Ultimate Best Things to do in Ubud, Bali!